"I'm only creating the design ideas and gathering the capital. 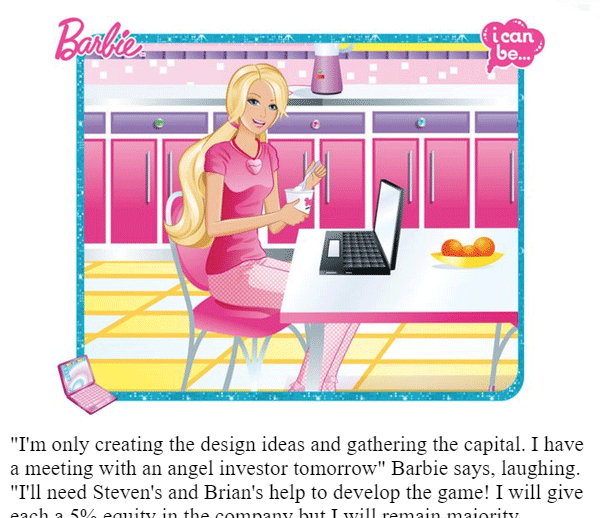 I have a meeting with an angel investor tomorrow" Barbie says, laughing. "I'll need Steven's and Brian's help to develop the game! I will give each a 5% equity in the company but I will remain majority shareholder"